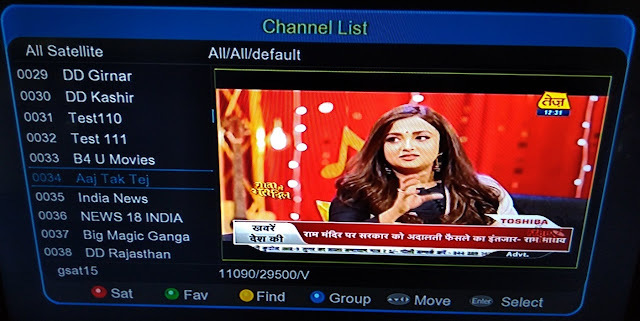 This is good news for DD Free dish Hindi viewers that Aaj Tak Tez new Hindi news channel now available on DD Free dish DTH. Aaj Tak Tez Tv is a 24-hour satellite Hindi news television channel owned by TV Today Network which showing superfast Hindi news by 24X7. If you are not getting Aaj Tak Tez channel; then you can re-tune your free-to-air set-top box by using given below technical details.